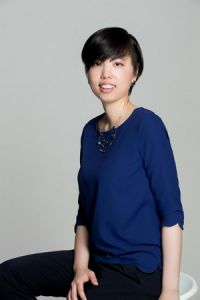 Ms. Wan-Jung Wei is interested in the relations between performing arts and politics, and continuously explores the space and possibilities through her works. She joined OISTAT in 2011 to combine her passion for theatre and her training in international affairs. She holds an MA degree in Arts Politics & Public Policy in New York University. OISTAT, International Organization of Scenographers, Theatre Architects and Technicians, is an international platform for theatre makers around the world. Founded in 1968 in Prague, its Headquarters relocated to Taipei, Taiwan in 2006. OISTAT’s international projects include World Stage Design, Theatre Architecture Competition and World Scenography.